On the north side of the mountain, the wind is blowing as the snow falls. The story is all there in black and white. It’s a stark contrast really. As we hike up the hill, an interesting mosaic begins to make itself known. Nature can be that way, she doesn’t rush to reveal herself, seemingly testing us mortals to see if we notice the intricacies and beauty she might be displaying at any given time. The horizontal white blanket of snow is interrupted by black vertical columns of tree trunks. On many of these trunks, are exposed patches of orange inner bark. The architects call out loudly as they hammer the trees and fly about. Pileated, Hairy, and Downy woodpeckers see us coming and retreat along the fingers where the heat was intense, into the coolness of the evergreen edge. As we here in Lincoln County know, 2017 was a tough fire season. But the resilience of the human species should never be underestimated. 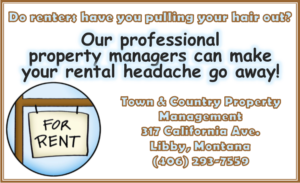 Especially in Kootenai country. As the fire was declared controlled on Nov. 16, 2017 and was still smoking, forest specialists began to fight back. Field reconnaissance teams from the Libby District composed of siviculturist, hydrologist, soils specialist, and many others pulled together to identify areas of treatment. Personnel from the Libby Supervisor’s Office, and the Eureka District Office were called into the efforts. Throughout the project, resources from Trout Creek and Troy Districts, Canoe Gulch Field Office, the Idaho Panhandle Forest, and the Region 1 Timber Strike Team assisted in efforts for a successful project. Proposed actions include removing hazard trees affecting public health and safety along travel routes and other areas considered for salvage, restoring portions of the landscape burned by the wildfire by initiating reforestation (natural regeneration and planting), reducing watershed impacts resulting from National Forest System roads and unauthorized routes (by upgrading our roads and best management practices), and recovering forest economic value and benefits through salvage, generating revenues to support the accomplishment of project objectives for restoration. Other considerations also included snag replacement for wildlife concerns, dealing with a depleted duff layer, and trimming and elevating roadside vegetation as per safe driving concerns. With the completion of priorities being established, the field work continued with the layout and prescriptions for logging units, then to be followed by marking and timber cruising crews. Upon the completion of the bidding process, it was good news for local contractors and many business entities. Between the Pipe Bull and West Pipe Salvage, numerous outfits became involved in many capacities that included: Stimpson Lumber Company; LT Logging of Eureka; Thompson Contracting; Kneller Logging; Tisher and Brown Logging (TBC); and Keller Logging of Eureka. Winter logging conditions were good with cold, frozen ground and then plenty of snow to work on top of, with minimal time down except for some days when it got below zero degrees. 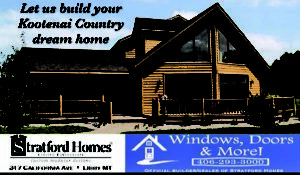 This work has benefited the local economy and provided jobs and economic activity throughout the fall and winter season. According to Willie Sykes, Public Affairs Specialist for the Kootenai National Forest, about 80% of the logging is complete and the remaining 20% of harvest and road construction work will finish in summer of 2019. While touring the units with Willie Sykes and Timber Sale Administrator April Rainey, this reporter whom has spent many years in forestry noticed the impressive coordination this project received between foresters, wildlife biologists, hydrologists, siviculturists, logging contractors, lumber mills, machine operators, and logging truck drivers. 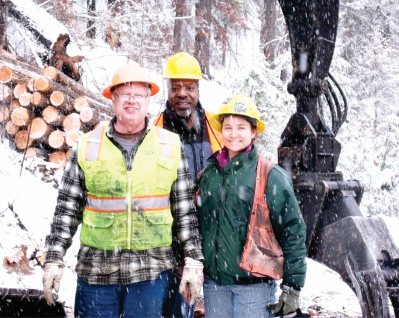 Rainey maintains her focus on the timber harvest, while also enforcing needed regulations and procedures, and understanding the challenges the contractors face. She takes a lot of personal pride in her work, and seems to have a natural ability to build good relationships on the ground and in the office. 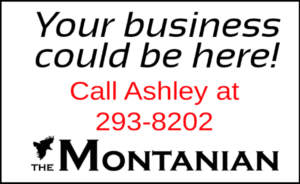 She talked with The Montanian about how this project was such a home run for our area. When asked about relative numbers, Rainey shared that on the West Pipe sale, the species composition breakdown was about 33% Grand fir; 25% Douglas-fir; 14% Cedar; 14% Western larch; and the remaining mix was spruce, Western White pine, hemlock, and sub-alpine fir. Interestingly, on the 521 acres, eight million board feet was harvested, which represents 34,225 tons that is roughly 1,180 log truck loads.